Another year, another Whitney Barbetti book that I completely devoured and admired. And LOVED! The Sounds of Secrets was just absolutely stunning. Poignant, heartfelt, and beautiful. I kept wanting more and more of Lotte and Samson, even after I was done. I still find myself thinking about them. That is the kind of book you want to read. One that you cannot forget. The characters, man. THE. CHARACTERS. They’re so beautifully flawed in a way that has me literally drooling for more. 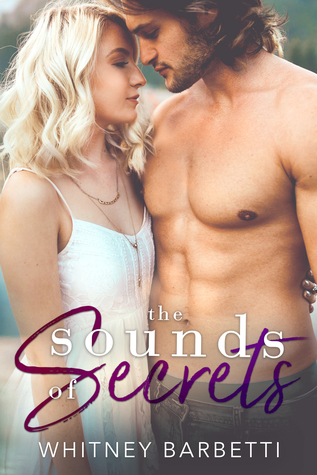 The Sounds of Secrets is not just about a flawed woman, it also includes a flawed man and together they’re just…beautiful. Beautiful humans. That is the only way I know how to put it without giving away the details that make them beautifully flawed. Every time I think about Lotte and Samson, I get a huge grin on my face and I cannot wipe it off. In The Sounds of Secrets you get a dose of redemption, forgiveness, second chances, love, angst, hurt, and longing all in one sitting (well, if you’re like me and can’t put the book down that is). And to me, it takes a certain author to evoke such emotions from me when I’m reading and Whitney did the job. My heart was hers for the taking. So, by saying that, I do want to touch on Whitney’s writing for a second. Okay, maybe a minute. I could write about it all day but I only take a few minutes with this review. When you read a book of hers, you are immediately engrossed into a wonderful time. Poetically, Whitney makes sure you feel the lines that she writes. They wrap around you each time and leave such a huge impression on you. It is one that you definitely do not forget. She makes you feel what each of the characters are feeling (not just one of them) and she does all of that with her WRITING. How incredibly talented is that? Whitney-freaking-Barbetti. I’m a fan for life. Keep on keepin’ on, my girl. Ugh! Why can’t her books be in my library? Still waiting for money to grow on trees. Whitney Barbetti, I’m coming for you girl!